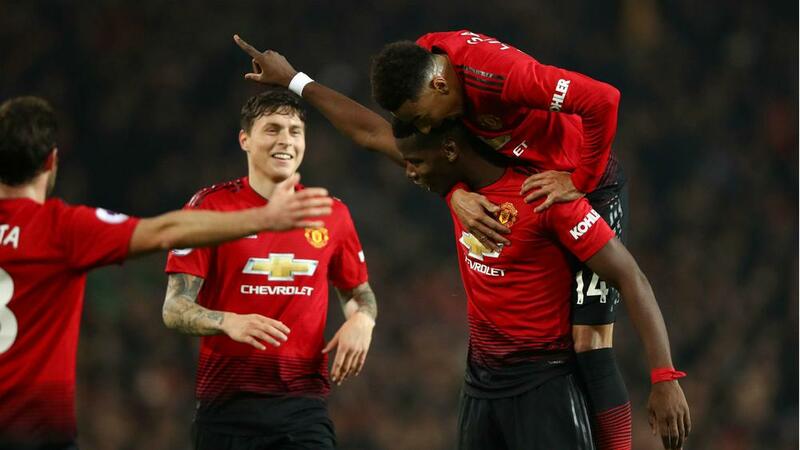 Manchester United winger Jesse Lingard has hailed Ole Gunnar Solskjaer for revitalizing Paul Pogba. Jesse Lingard believes Ole Gunnar Solskjaer has brought back the Paul Pogba he "used to know" since taking the reins at Manchester United. Pogba's relationship with former manager Jose Mourinho came under consistent scrutiny during his time in charge and seemingly crumbled towards the end of the Portuguese's tenure, which came to a close after a 3-1 defeat to Liverpool earlier this month. Solskjaer has replaced Mourinho as interim manager until the end of the season and United have been in inspired form in his first three games, scoring 12 goals in three successive victories over Cardiff City, Huddersfield Town and Bournemouth. Pogba has accounted for a third of those goals, scoring a second successive brace in the 4-1 defeat of Bournemouth on Sunday, leaving Lingard impressed with how the France World Cup winner has been revitalised by Solskjaer. "I can definitely, definitely, see the Paul I used to know," Lingard said. "I have seen him playing through the ranks and he is back to that player, the player we know. "Paul's enjoying his football. He's playing in the role he likes to play in just inside, off the left. He has the freedom to make things happen. He has always got forward in that position and scored goals. "Ole has helped him 100 per cent. He has given him the confidence and licence to be free, to play his game and do what we know he can." Lingard also credited Solskjaer for the mentality he has instilled in a short space of time as well as the Norwegian's man-management skills. "When we score one goal we want more," he added. "We want to play with a lot of energy and attacking football. Early goals are important because then the confidence flows and we have the mentality to go on and beat teams four or five-nil. "Ole's great one-on-one with players. It's great man-management. He will always speak to you and tell you what to do. "He knows what kind of a player I am. When I am on the right wing he likes me to come inside and make things happen. He gives me licence and freedom to do that. He’s very special. He knows where Man United has to be and that is at the very top."